Every year Magento manages to handle over $100 billion of gross in merchandise volume. There is no doubt that Magento is one of the most popular eCommerce platforms trusted by thousands of merchants worldwide. As startups, SMEs, and large-scale corporations love this platform, Magento has a secured place among the top eCommerce platforms throughout the years. It presents a perfect blend of the digital and dynamic shopping experience to your customers. And to deliver this experience seamlessly to your customers, your e-store needs to be free of major technical blunders. However, it gets a bit tricky to handle a gigantic code web of any e-store. 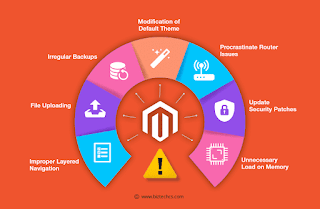 To help you out with this, we serving as a Magento 2 development services have enumerated the critical errors you might miss during the Magento eCommerce development of your store which is important to solve. Layered navigation is generally a combination of different options available on a single web page. There are different categories displayed on a single page. This way, customers can select their choice of category landing on the web page of the products they need. Now, there might occur problems such as slow website, overlapped categories, and obscured images. It affects the user experience. Eventually, it makes you face low sale numbers in your data sheets. To escape such problems, you can use Ajax navigation for filtered results. You can even disable the crawling for such pages if you do not wish to rank them on google. When you want to upload a specific pack or files on your Magento store, what it looks like: Download the Magento pack, install with FTP, work! What it actually is like: You spent hours finalizing a right tool, downloading the right files and then few more hours uploading the same files with FTP. And imagine the frustration, when you find out that you missed an important file while uploading software files in Magento Admin. The simple solution to this mistake is to use ‘Magento Download’. It is much faster and suitable than FTP. This is one of the most critical issues to combat. Imagine that there is a system breach or a hacking issue on your website. You haven't backup your database which contains ‘N’ number of products or customers data. There are also chances that you might lose your new order data because of a sudden server issue. What happens next? You spend nights to try to recover the data, constant calling, never-ending hassles, and whatnot? To avoid such situations your ecommerce development services partner, need to conduct regular backups. Almost every Magento development company has these services involved in their maintenance plan. Your Magento e-store is up to date. The first and foremost thing to keep in mind is not to have any second thoughts regarding your theme choice. That theme modification process demands constant trial-and-error sessions. Copy required files from /design/frontend/default/default/ directory. Paste them to /design/frontend/default/your theme directory. Follow same steps for default skins (/skin/frontend/default/default/). Make necessary changes to the theme. Go to System->Configuration->Design and apply the new changes to your themes. There are some instances where your modules function without an admin router. In such a case, remove the router. It is critical as it directly interferes with the behavior of modules. It may cause issues like failing to detect frontend page or redirection from HTTP to HTTPS. To escape other router issues, you need to ensure that you assign similar names for frontend and admin routers. We hear a buzz on the web regarding the Magento security issues. But does your developer keep your website updated with latest security releases? Magento regularly announces the security patches to enhance the security protocols for your e-store. Make sure that you refurbish your store security with the latest and required security releases. These updates integrate with the latest software releases. They released various security patches for Magento 2 version. Thus, it safeguards your e-store from spam ware and cyber-attacks. Does your coding structure have the fetchAll() method? If yes then, there are chances that it might consume a major portion of memory and network bandwidth. To eliminate such issue, what you can do is code the fetch() method to retrieve rows from the database which help you achieve better results. To gain the enormous sum of success in eCommerce, it is important to use the eCommerce Development Platform the right way. If your website speed, design or flow is overwhelming you’re likely to experience a decline in your client base. 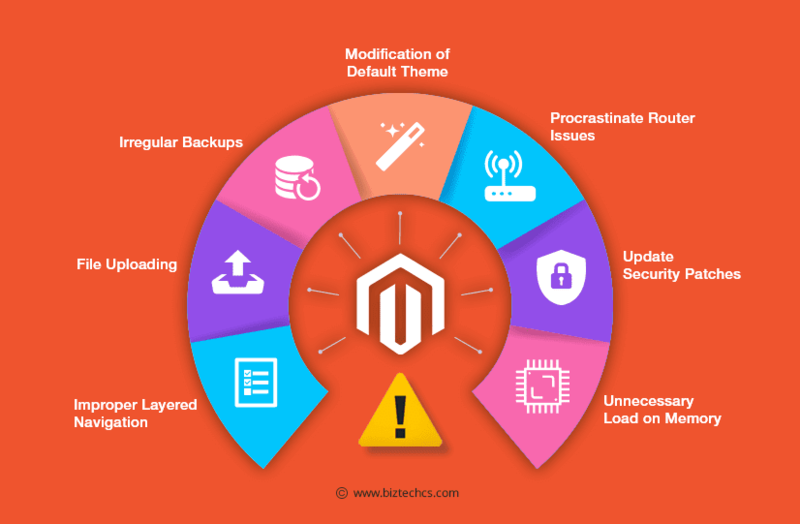 Rather than digging into the plethora of bugs later, it is wise for any Magento 2 Development Service provider to solve such critical mistakes while your site is still in the development stage. This way, your e-store can generate revenue that is capable to make your business an industry leader. The key here is to use this eCommerce giant to its full extent with appropriate practices. In case you face any issues solving such issues you can get in touch with us here.